USA Today recently added Owensboro to its list of top place where millennials are moving. And with a bursting music, food and craft beer scene, that’s no surprise. This river city, with a population at right under 60,000, is the perfect weekend getaway for the young and young at heart. If you’re a local (or want to live like one), Friday after 5 is the place to kick-start your weekend. This summer-long series of free outdoor concerts is held every Friday on eight blocks of the beautiful Owensboro Riverfront. The festival includes live bands, family events, street vendors and food trucks. After you’ve scouted out local bands, grab a bite to eat at The Miller House in one of Owensboro’s iconic landmarks built in 1905. The Southern-inspired eatery serves refined comfort food like fried green tomatoes, porcini and rosemary rubbed ribeye, lump crab cakes and shrimp and grits. Cap off the night at Spirits located directly below The Miller House. 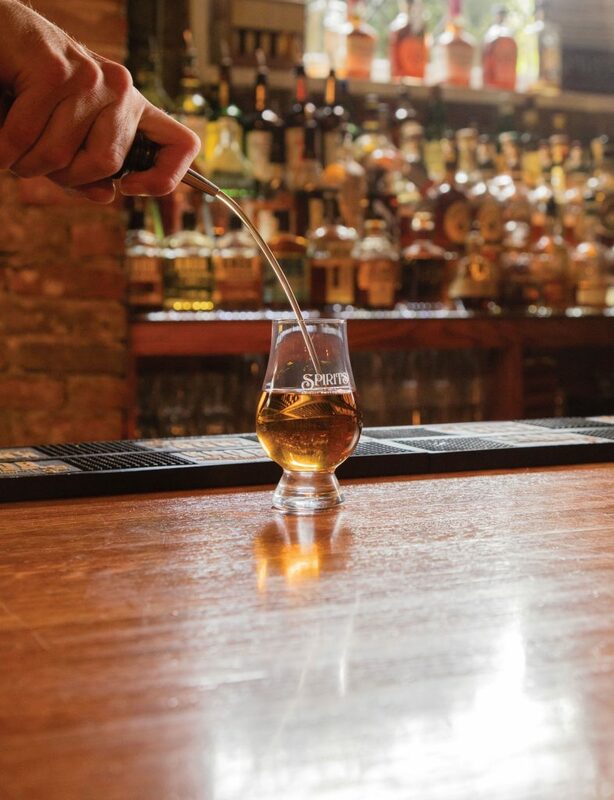 This cozy, bourbon-inspired bar has more than 400 bourbons in stock, along with signature martinis, mixed drinks, beer and wine. 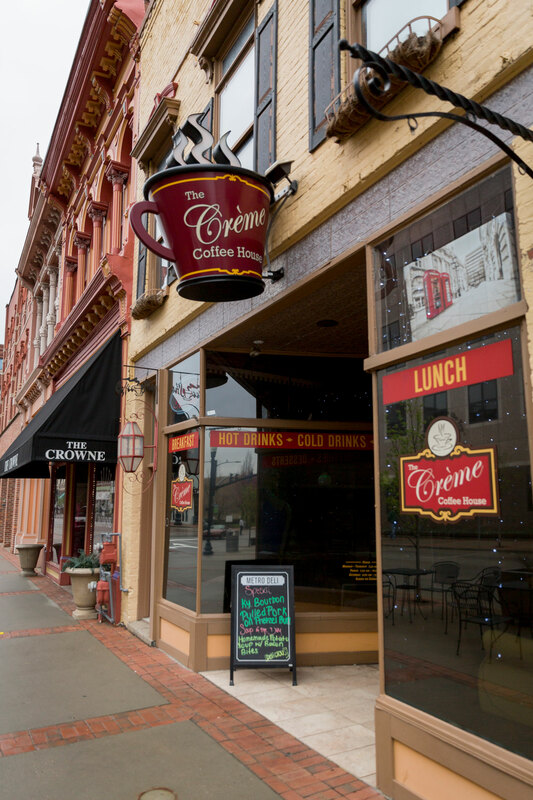 You’ll want to begin your Saturday with a dose of caffeine at The Creme Coffee House in Owensboro’s revitalized downtown district. Order a standard cup, latte or cappuccino to go with your muffin, pastry or breakfast cookie. Coffee in hand, you’re ready to tackle Trunnell’s 54 Market, located on Highway 54. Peruse Kentucky products like ciders, locally-sourced meats, infused oils and more. During the fall, Trunnell’s Family Fun Acre and Farm Market is the place to be, stocked with homemade fudge, pumpkins to pick right from the patch, corn mazes and more. No trip to Owensboro is complete without BBQ. 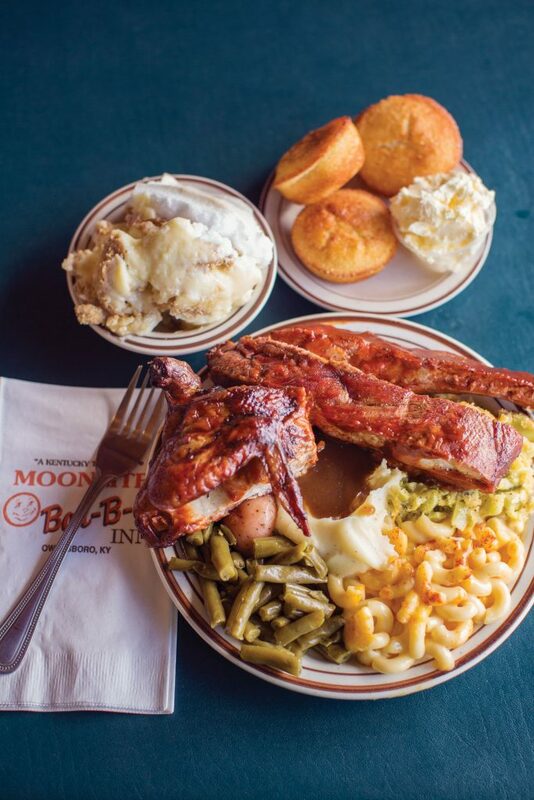 Belly up at the world-famous Moonlite Bar-B-Q Inn for barbecued mutton, or sheep. Then continue your tour de BBQ at Old Hickory Bar-B-Que, and be prepared for a feast of mutton, pork, beef, chicken, ribs, ham, turkey, burgoo, chili or meat stew. Finally, Ole South BBQ, known for their hickory smoked BBQ, is not one to miss. Owensboro is known for its speciality boutiques and home interior shops, so you’ll want to devote a few hours to exploring all they have to offer. Excursions boasts sophisticated styles, carrying brands such as Brighton, BCBG, Trina Turk and Joseph Ribkoff. Blush Boutique offers the perfect mix of casual and dressier pieces, all reasonably priced. And finally, the Bakers Rack: a unique Owensboro gift shop full of home accessories, china, crystal, antique furniture and a variety of gifts. For an afternoon pick-me-up, step back in time at the Big Dipper or Wonder Whip, both walk-up counters known for shakes, ice cream cones and more. You’re probably ready to stretch your legs and walk off that afternoon of BBQ and desserts. Hit up Smothers Park on the riverfront, also known as the “Top Playground in the World,” or for a more scenic, greener route, walk along the Greenbelt, a 15-mile long park linking Owensboro neighborhoods, business districts, parks and schools. 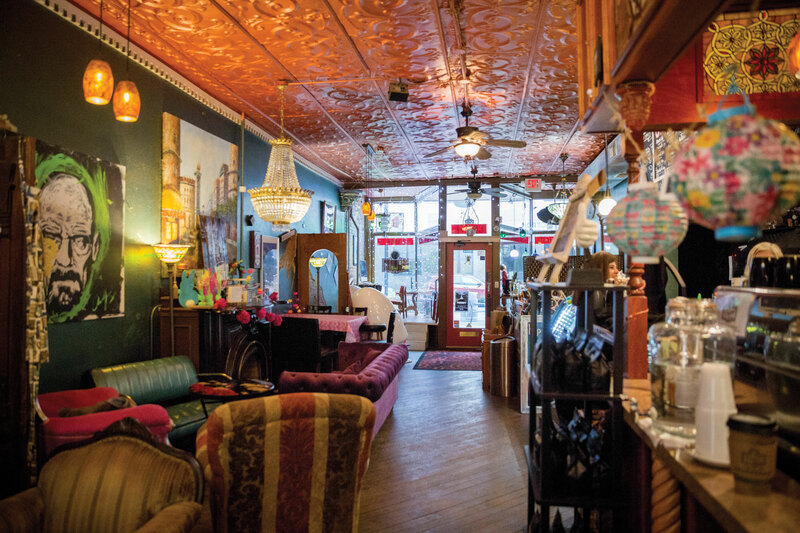 For your final dinner in Owensboro, visit the intimate Colby’s Fine Food & Spirits. Since 1987, they’ve been providing seasonal dishes using aged meats and fresh produce with an extensive, first-class wine selection. End the night at CYO Brewing, whose impressive craft beer list spans any lager, wheat beer, IPA, ale, porter, stout, sour, cider or mead you could dream of. Every Sunday should have a good breakfast story, and Owensboro is no exception. For a true “hole in the wall” experience, Dee’s Diner is a must. Get a classic country breakfast with fried eggs, hashbrowns, grits, country ham and pancakes that truly hang off your plate. Sarah is the editor of Bowling Green Living. 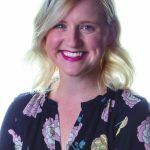 She loves traveling, culinary adventures, hanging with her husband and their dog Blue and decorating their downtown Victorian home. If you are coming to Owensboro you also need to stop at the Bluegrass Hall of Fame and Musuem. Owensboro is known for the three B’s: Barbecue, bourbon, and Bluegrass.